Where to get a great beer in Wine Country? Travel the oak, eucalyptus and vineyard lined roads of the Napa Valley and you will hear from those who know, "It takes a lot of beer to make good wine." Over the last several years the growth of craft brews within the sanctity of wine country has outpaced the opening of new wineries. Calistoga Inn featuring a 7-barrel gas fired brew house. Brewmaster Brad Smisloff's range of brews is broad but the mainstays are the Calistoga Wheat Ale, Pilsner, Red Ale & Porter. Try the Pilsner it's clean and refreshing on a hot day. try the Pilsner it's clean and refreshing on a hot day. Mad Fritz down in St. Helena is available to taste and purchase by appointment and is on tap at Charter Oak, Chef Christopher Kostow's latest endeavor in the former Tra Vigne space. The Mad Fritz Acorn IPA is brewed using acorn flour in the mash as well as local water and a blend of Gargoyle and Ivanhoe Hops. 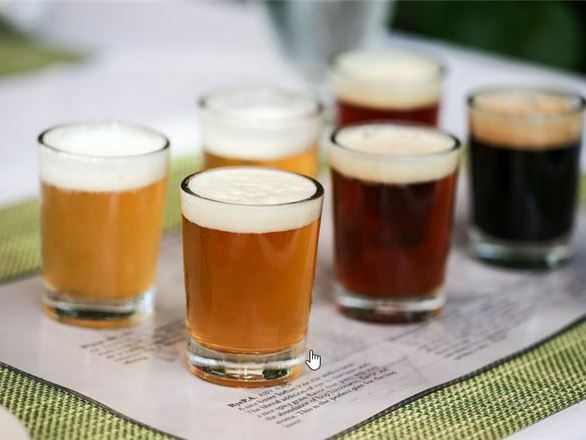 A new entry on the beer scene is Johnny's on Lincoln Avenue just a few steps from Calistoga Spa Hot Springs. Their Mud City IPA balances the sweetness of the mash with just enough hops without trying to knock you off your bar stool. Inside tip! Johnny's has the NFL Sunday ticket as does Calistoga Inn, just saying.